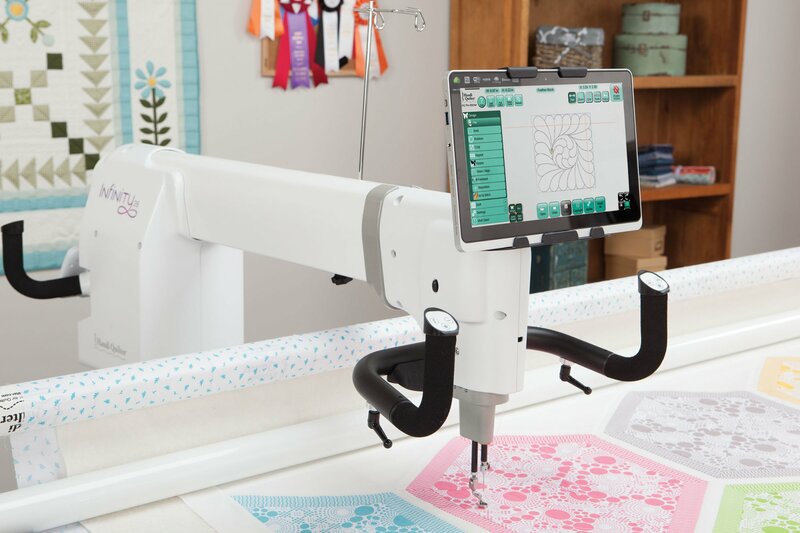 Use the Ruler Base accessory to extend the base of the machine and provide stability when using rulers, guides, and templates. 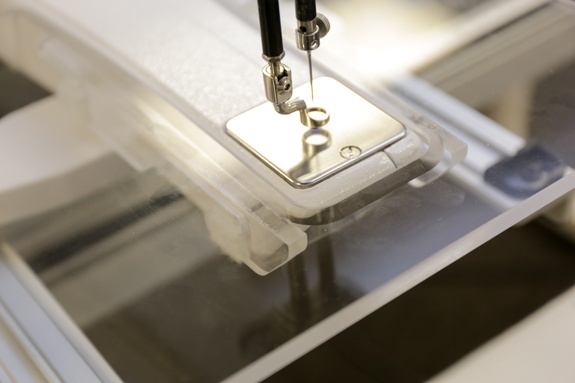 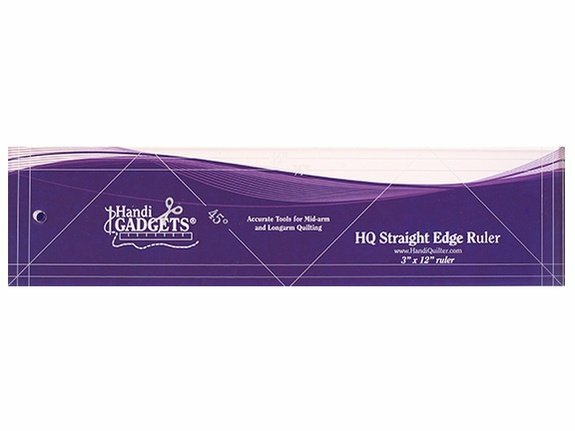 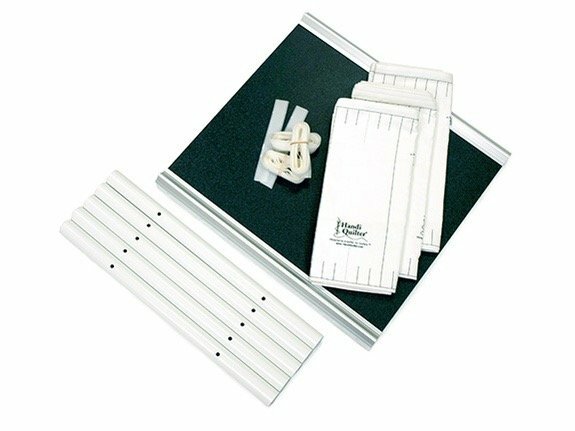 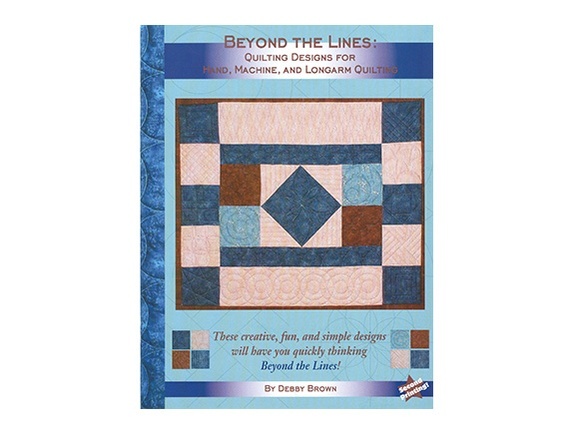 This ruler base is for use with the HQ Fusion quilting machine. 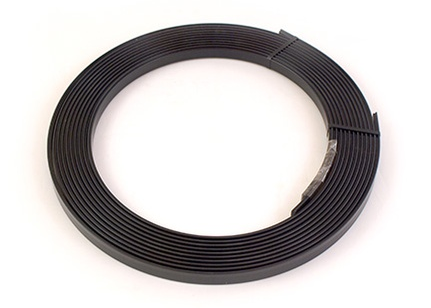 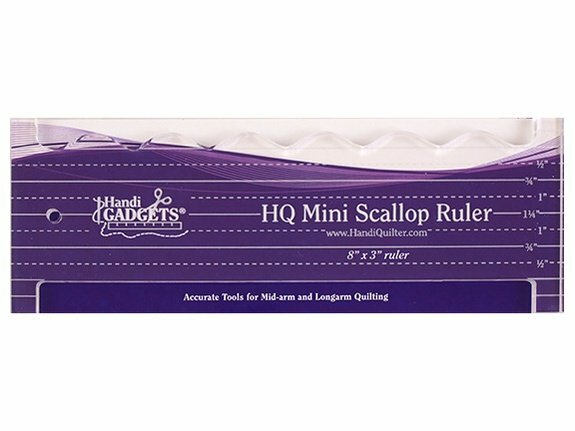 This ruler base is 11â€³ wide by 12â€³ deep. 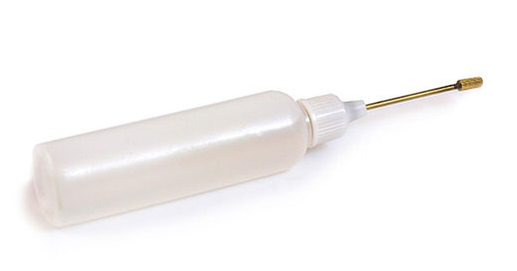 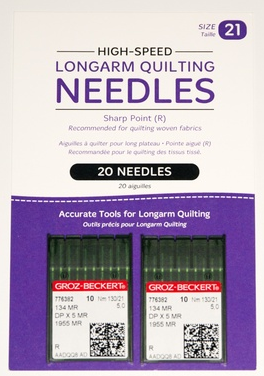 Choose size 14 needles for use with finer threads and fabrics, such as silk. 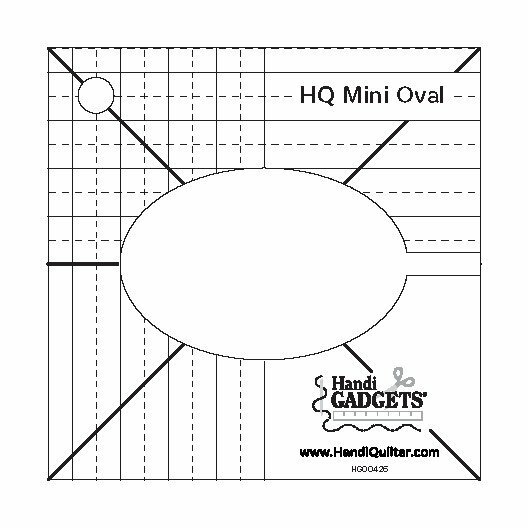 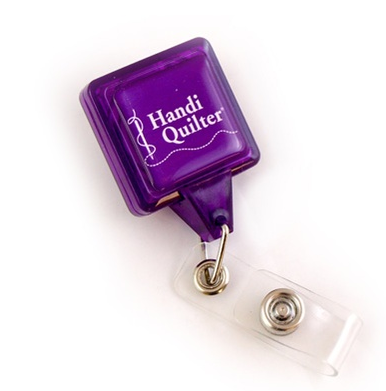 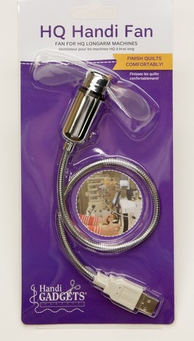 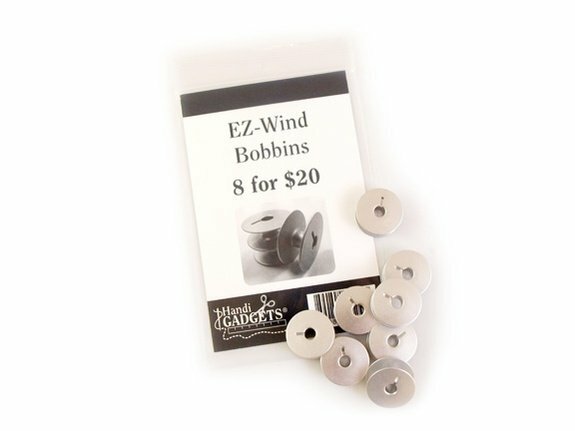 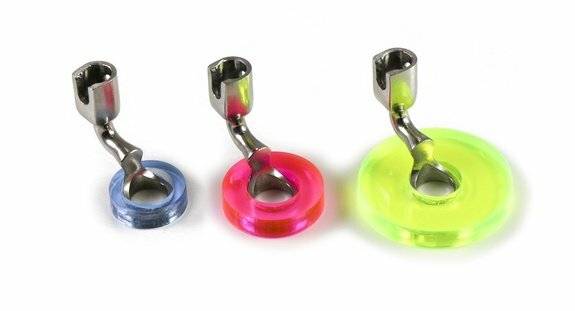 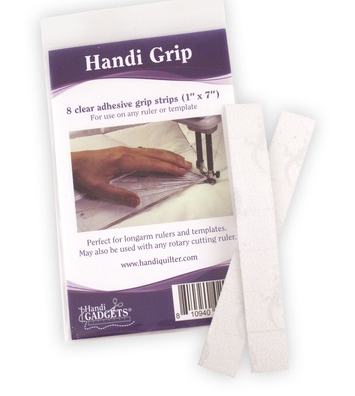 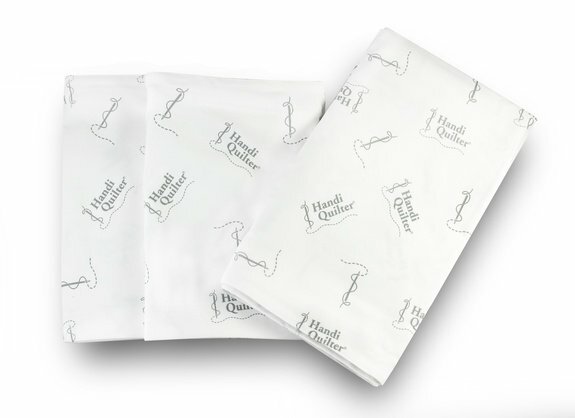 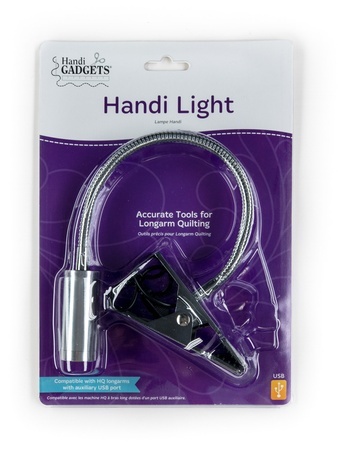 Recommended for use with the HQ Sweet Sixteen machine or when using the HQ Micro Handles for micro-quilting or when quilting on the HQ Infinity. 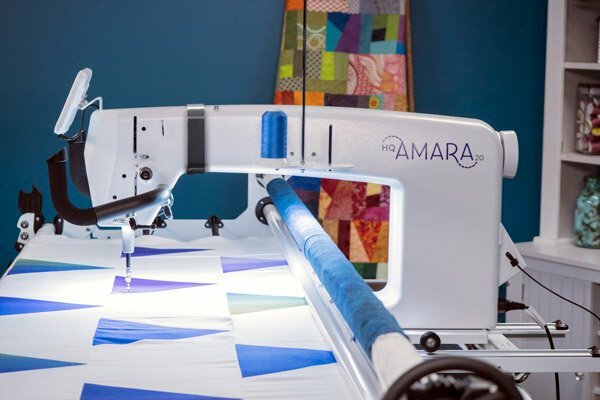 Call to order your Amara today! 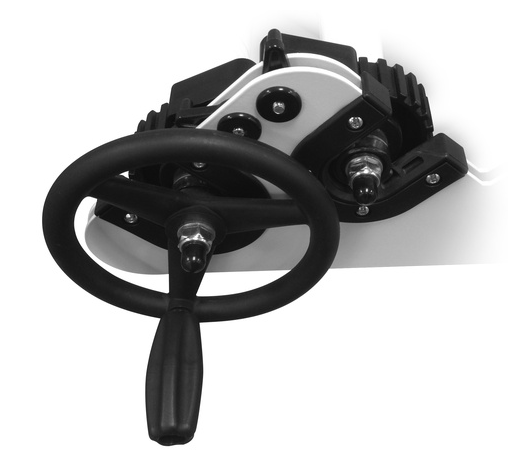 or Stop in for a test drive! 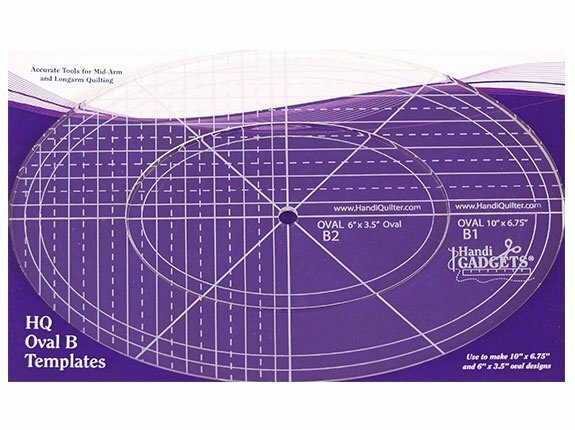 HQ Groovy Boards create a precise pattern that can be used by all quilters, from beginning to expert. 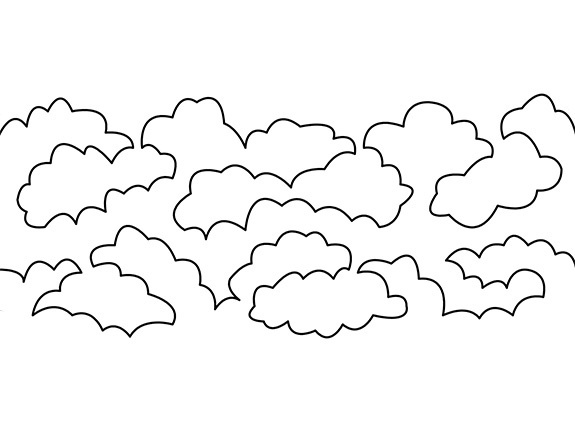 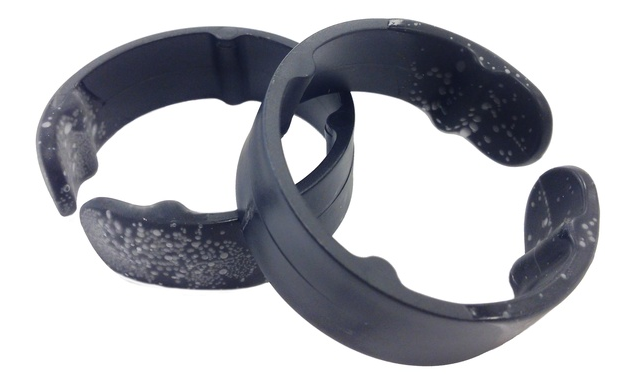 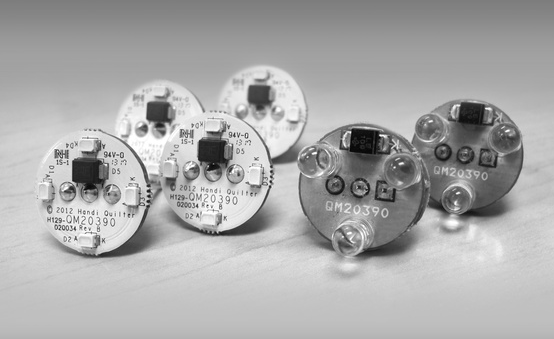 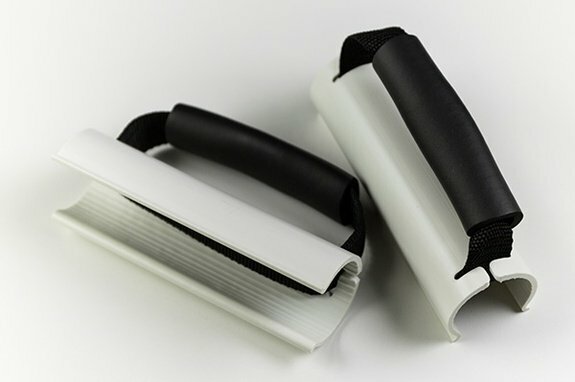 Made of durable plastic, these patterns can be used over and over with the same precise results. 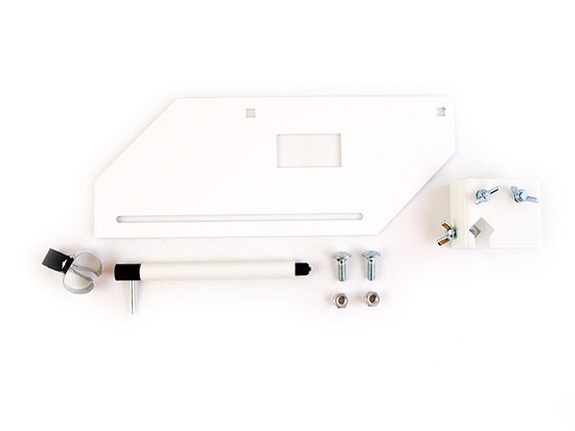 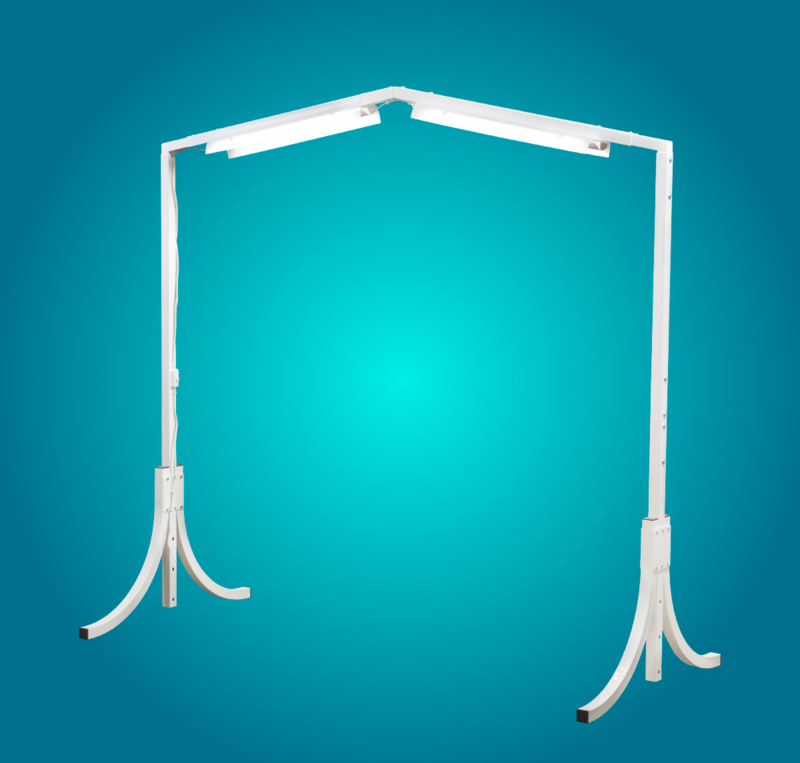 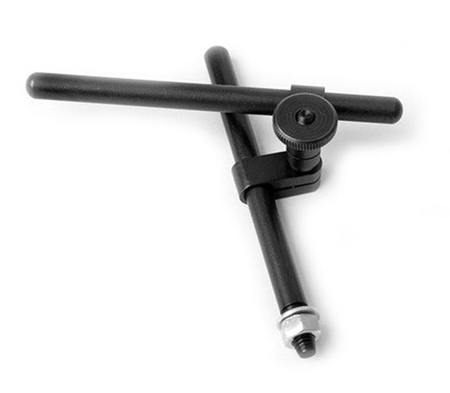 The HighRise2 Kit attaches to your frame legs to quickly and easily raise or lower your entire frame. 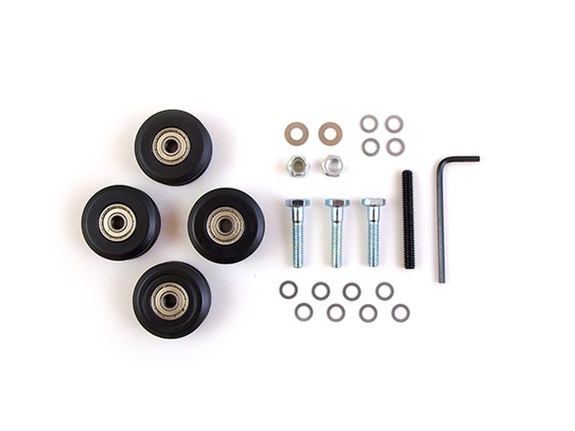 This wheel kit is to upgrade the machine wheels to the new HQ Precision-Glide system. 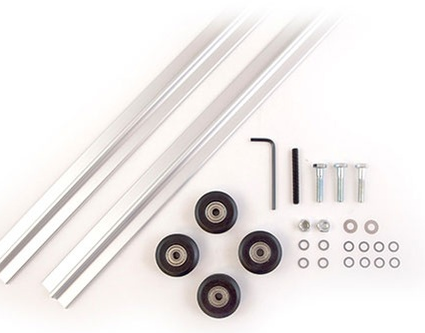 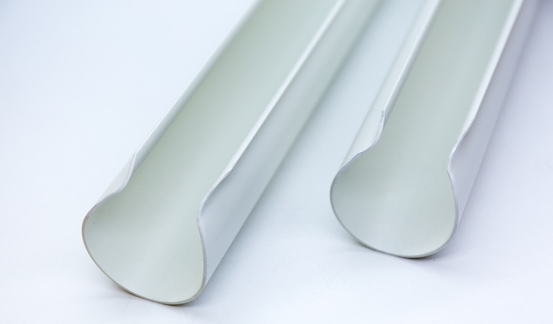 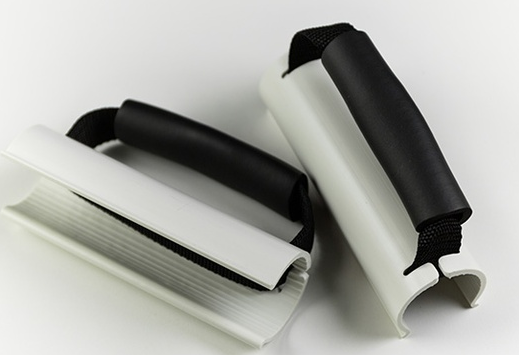 You may also need to purchase the aluminum tracks if necessary. 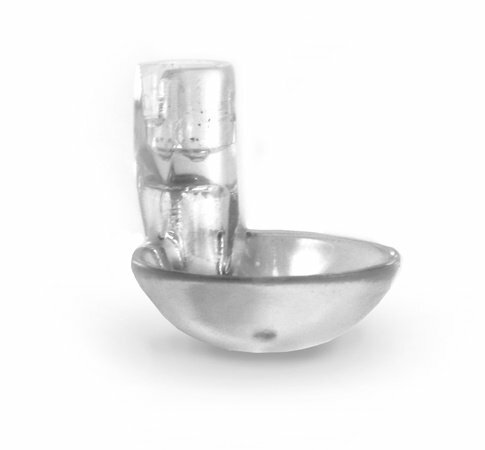 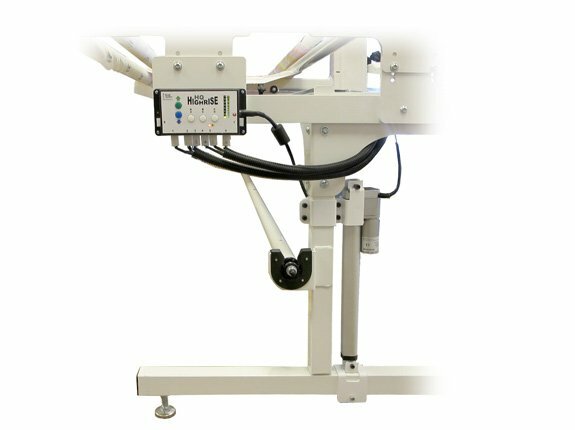 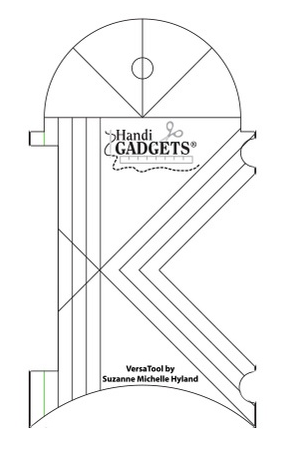 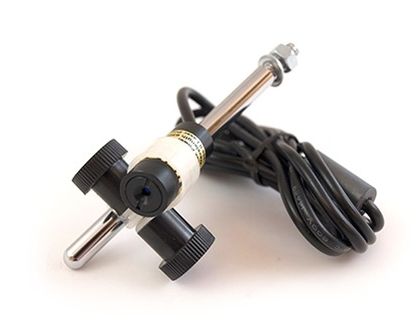 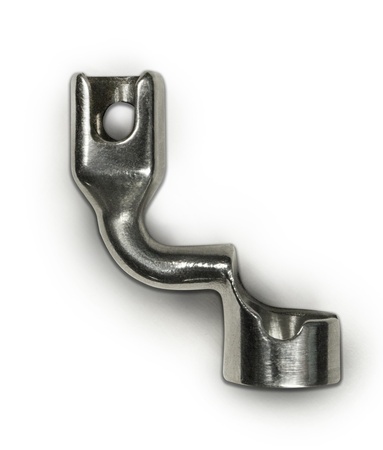 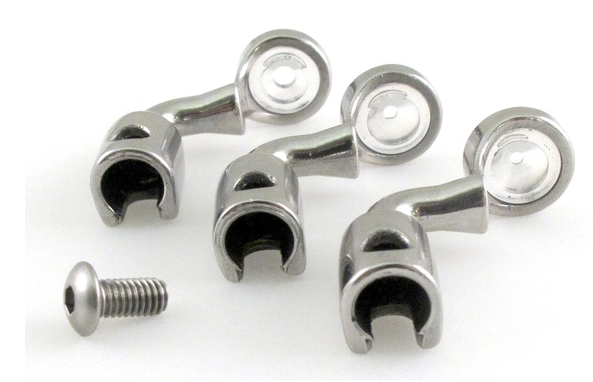 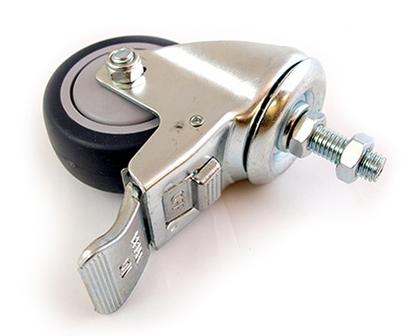 A taller profile foot, use for added stability when working with rulers If your machine isnâ€™t already fitted with the Handi Feet mount, you need to purchase the Handi Feet Conversion kit to upgrade your machine to use the Handi Feet. 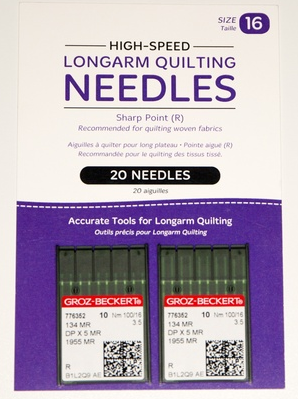 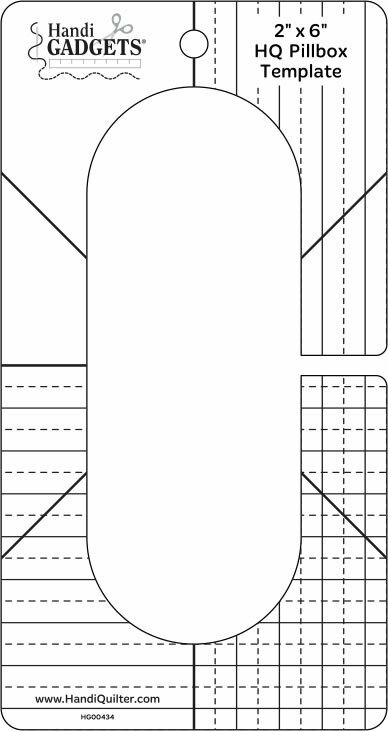 Choose size 16 needles for general quilting and average threads. 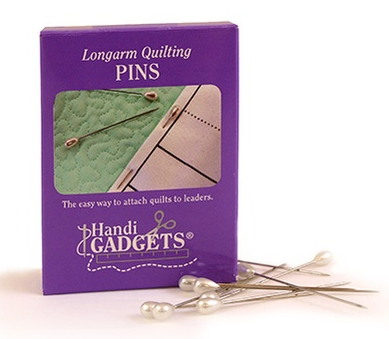 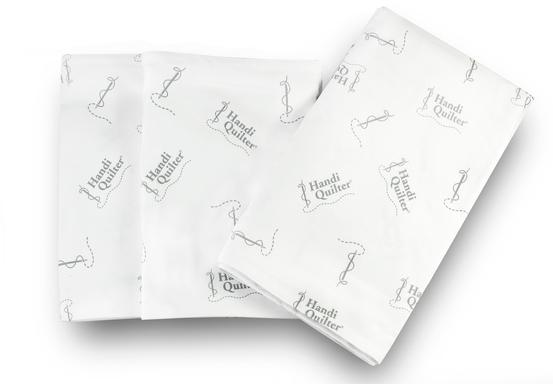 They also work well with â€œinvisibleâ€/monofilament thread. 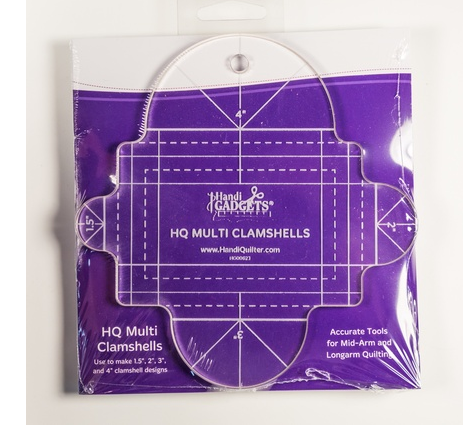 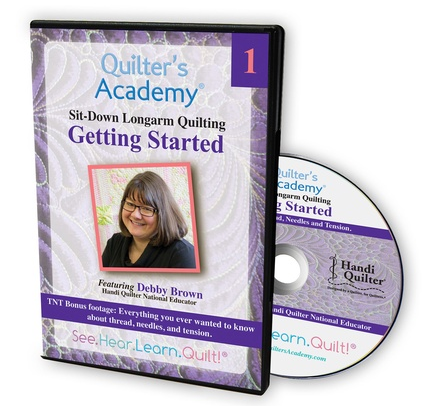 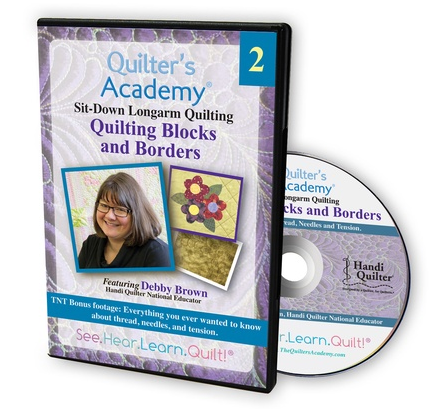 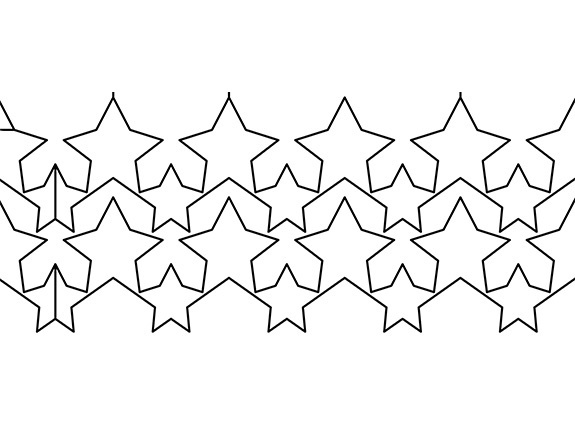 Recommended for use when quilting on the HQ Infinity. 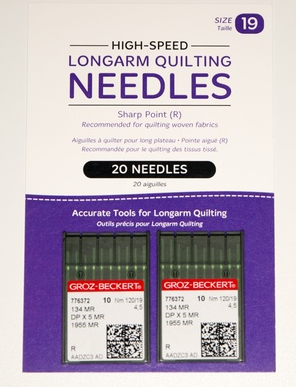 Choose size 19 needles for use with your thickest thread choices or when a thicker thread causes skipped stitches. 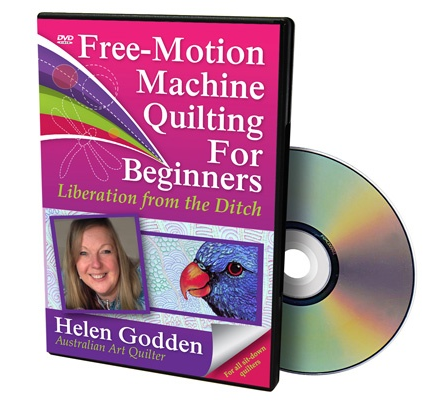 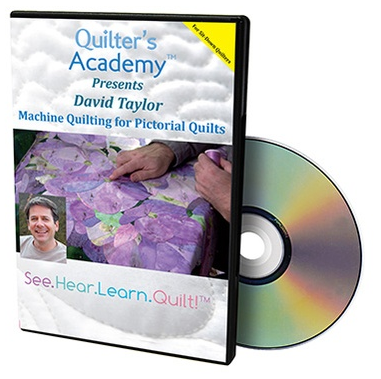 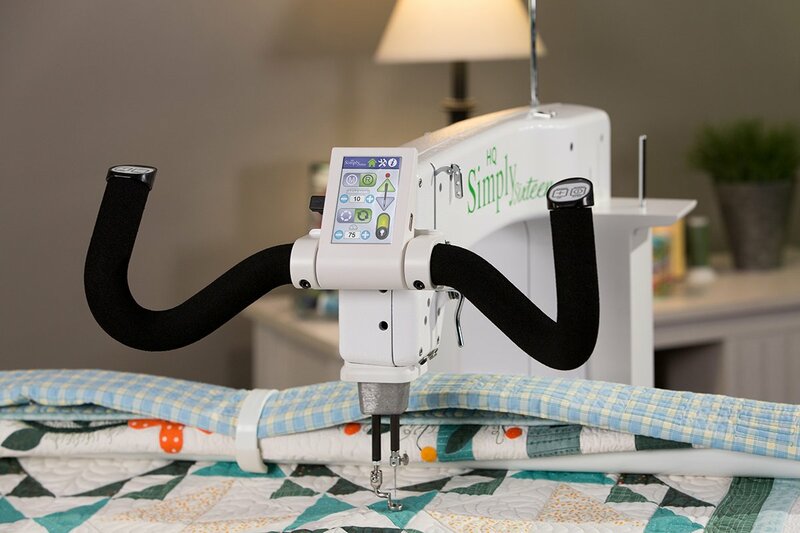 Remember, the hole created by the needle disappears after taking the quilt off the machine. 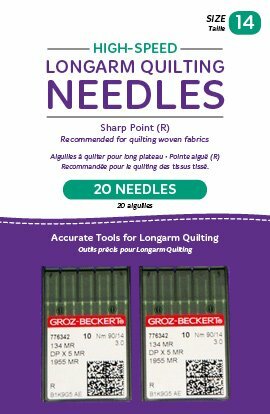 Choose size 21 needles for use with your thickest thread choices or when a thicker thread causes skipped stitches. 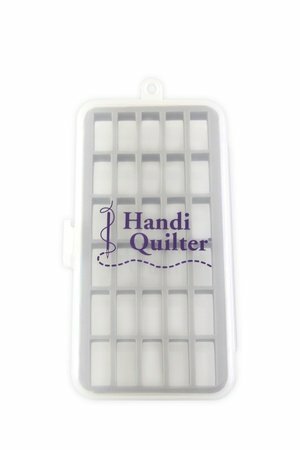 Remember, the hole created by the needle disappears after taking the quilt off the machine. 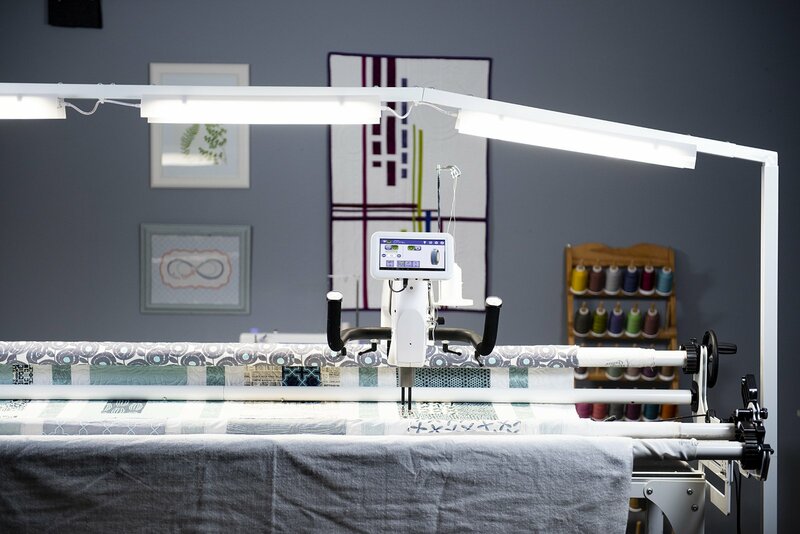 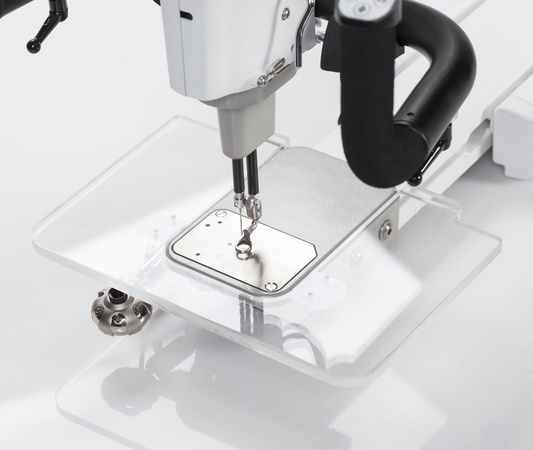 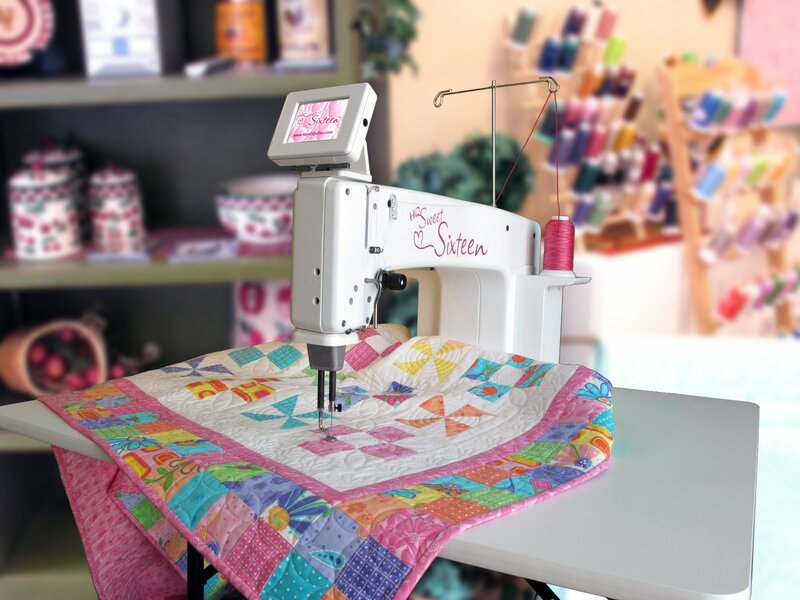 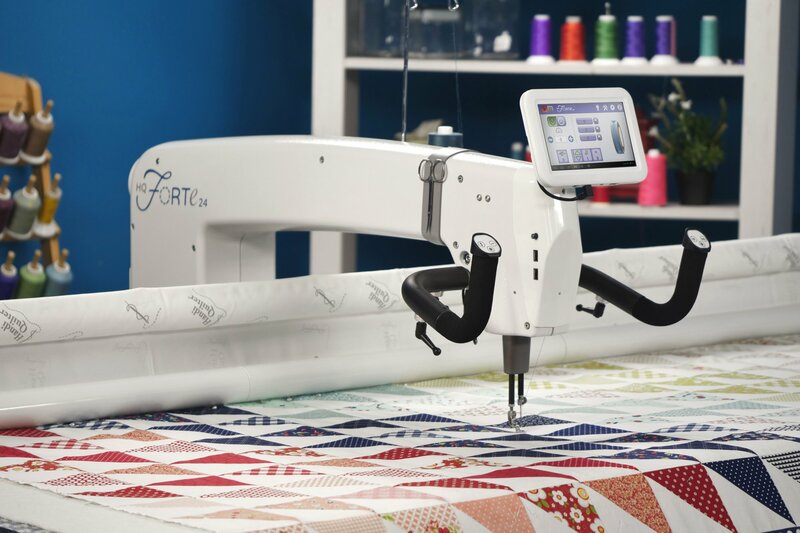 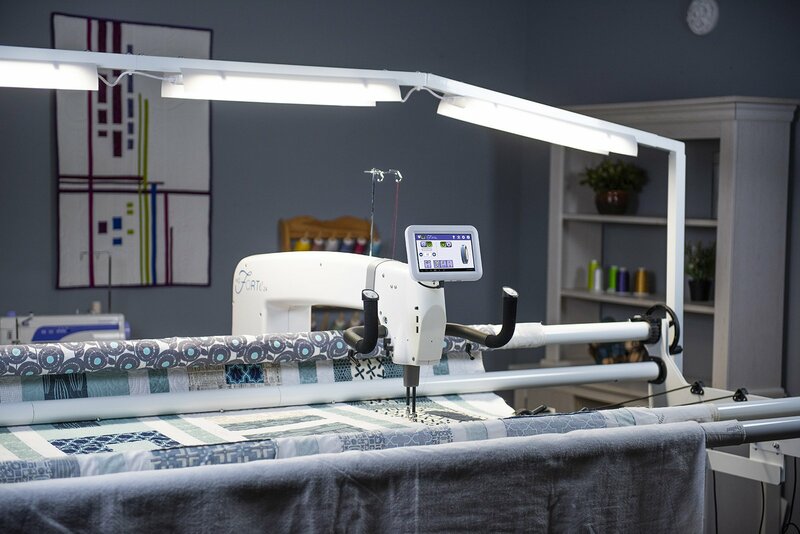 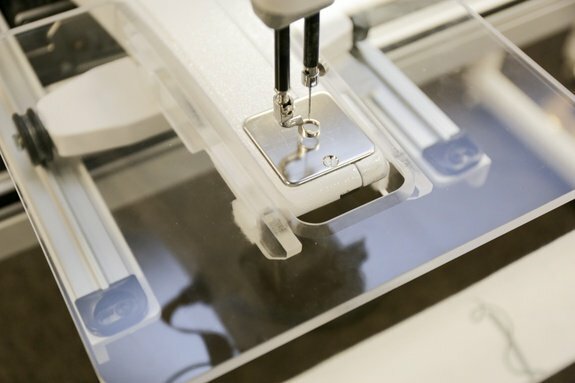 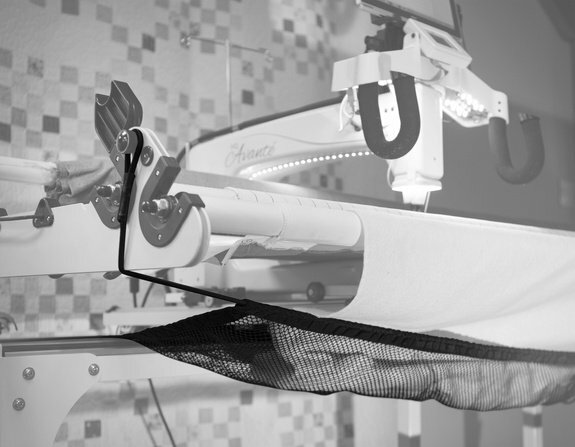 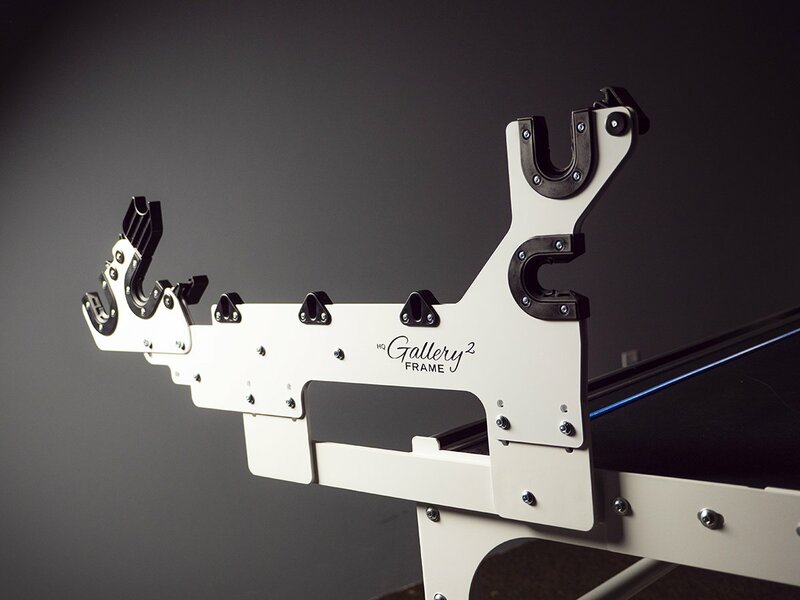 Add additional workspace to the back of the HQ Forte longarm quilting machine. 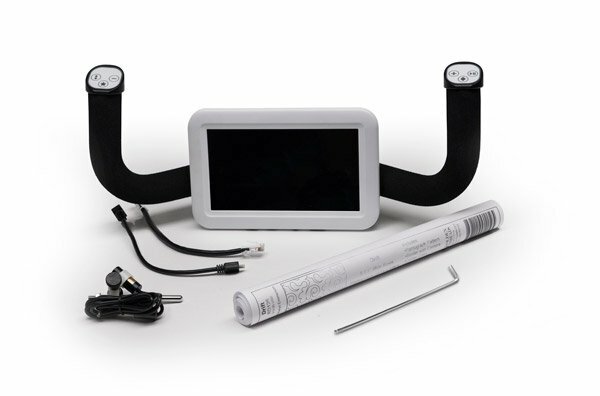 Includes rear handlebars and 7-inch color display, laser light assembly, 4mm hex wrench, a pantograph, and any necessary cabling. 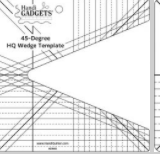 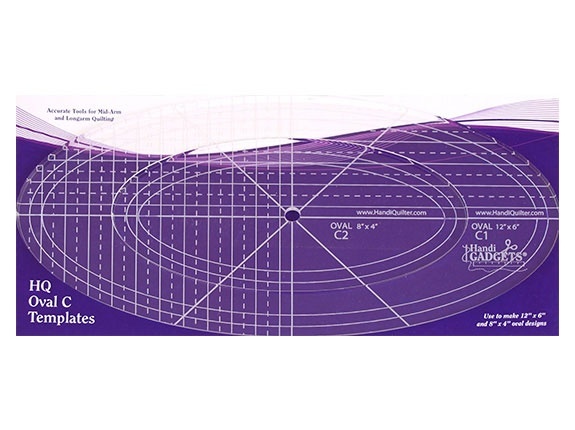 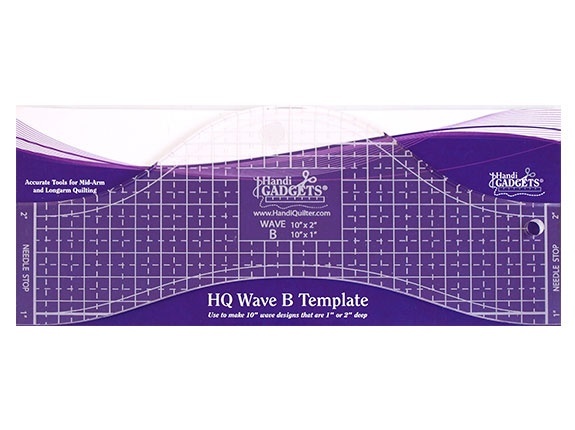 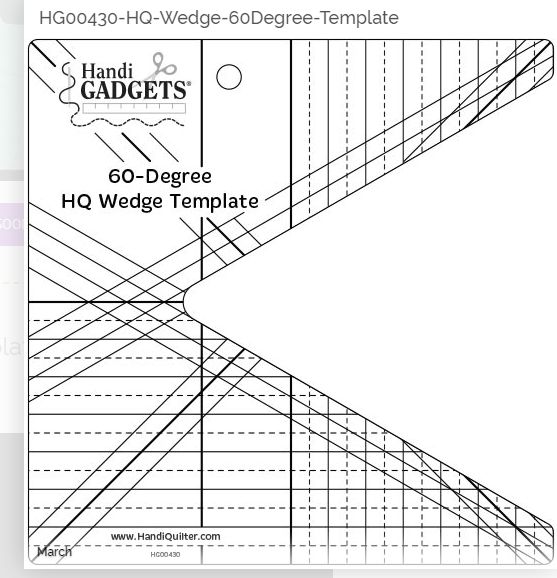 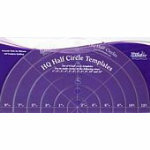 View Large Image Ruler HQ Wave B 10"
The HQ Mini Oval has an oval cut out in the center with Â¼â€ grid lines on part of the template. 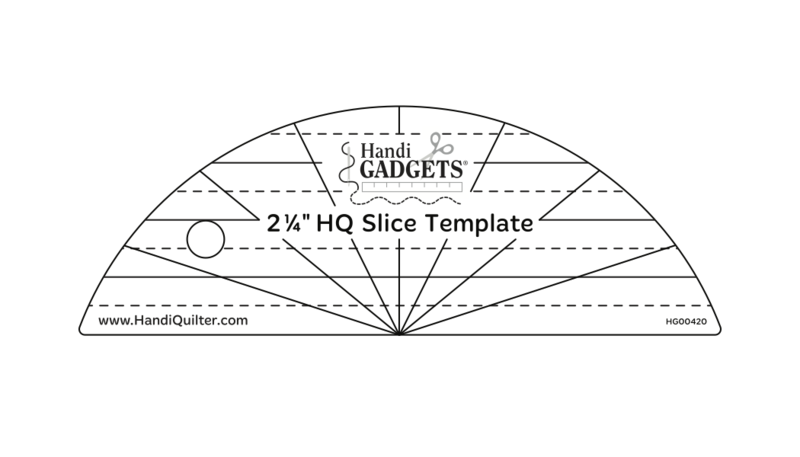 This template can be used to create ovals that can be filled in with free motion designs or try it for an elongated clamshell design.